Fast Haul offers a wide range of construction debris removal and demolition services such as front loader, excavation, grading, trenching, and site preparation services anywhere in the greater San Francisco Bay Area. We also have a lot of equipment and vehicles allowing us to take care of much heavier type of demolition such as foundation removal, concrete breaking and dirt hauling as well as construction debris hauling, recycling, and clean-up. Fast Haul makes spa shed & hot tubs removal easy. For you, we can also break & haul away your old deck retaining wall, fence or arbor. If the wood is unpainted, you can rest assured that it will be recycled. Fast Haul is a Bay Area leader in Green Debris Hauling business and we recycle & re-use whenever possible. Our experienced Fast Haul crew has the right equipment and trucks to take care of the break up & hauling away of your spa, shed or hot tub. Whether the material gets recycled or hauled away to the dump the debris will be disposed responsibly. Swimming pool demolition requires an experienced demolition, concrete breakup and hauling company. We’ve got many years experience and the right equipment to take care of your swimming pool demolition job. With our experienced crew on the job, you can rest assured everything will be done quickly & professionally. It will be done neatly, in a clean and responsible way: all the concrete will be hauled to the dump or re-filled and compacted correctly with dirt. The compacted concrete and dirt will be graded smooth and finished. When our demolition hauling crew is done, you won’t be able to tell there ever was a swimming pool there! 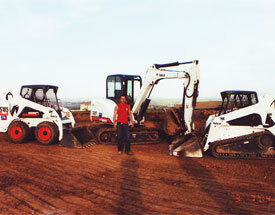 Fast Haul has the best late model Backhoe & Front loader machines available for your job. Our heavy equipment foreman Leonardo has over 10 year experience with all phases of Front loader & Backhoe and trenching work. Whether it’s trenching for your irrigation project, swimming pool removal, dirt excavation or construction site prep, Fast Haul has the experience and equipment necessary to meet any of your heavy hauling and demolition needs. An experienced Fast Haul employee will come out, and do a free estimate for your project any time, 7 days a week. Excavation and dirt hauling is a breeze with our new Front loader & Backhoe machines. Need a big construction site prep or just a small back yard dirt excavation? Fast Haul is the right company to call for all your excavation, and dirt hauling needs. Our late model Front loader & excavator are equipped with all the necessary attachments for trenching, pier drilling and concrete breaking. Cannot fit a Front loader into your backyard or construction site? No problem! Our experienced professional crew will dig the dirt or break the concrete out by hand and wheelbarrow or carry the debris to the truck and haul it all to the dump or recycle center for you. Our late model Front loader and Backhoe has the right hydraulic breaker for your concrete demolition and hauling project. Concrete removal is easy for our experienced Fast Haul crew. Whether it’s a small residential concrete removal project or a large construction site prep, we’ve got you covered. Foundation removal, swimming pool removal, whatever your concrete breaking and hauling needs may be, Fast Haul will be there to take care of it for you. When we’re finished all the concrete debris will be hauled away to the concrete recycling center, and the site will be left clean.